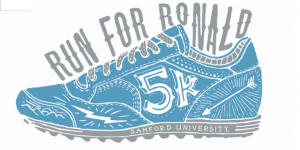 The Alpha Delta Pi Kappa Chapter at Samford University held their annual Run for Ronald 5K April 7 in Homewood. These super star supporters chose a neon theme for this year’s run, adding a really fun element! Approximately 130 runners participated and the top top male and female runners were awarded $50 worth of gift cards to various restaurants around Birmingham including Urban Cookhouse, Taco Mama, Edgewood Creamery, and Cookie Fix, The second place male and female runners were awarded $25 worth of gift cards to various Birmingham restaurants as well including Taco Mama, Urban Cookhouse, and Edgewood Creamery. The most spirited runner was awarded a $15 Big Spoon gift card. “The chapter is feeling great! Despite the rainy and cold weather, we all had a wonderful time supporting the organization that means so much to all of us!” Philanthropy Chair MaryBeth Wagner. Ronald McDonald House Charities of Alabama extends our thanks to all the ADPi Kappa ladies for hosting this event! The members are regulars around the House, cooking meals, helping at events and hosting fun family activities. 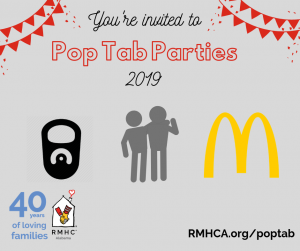 Last year, they raised more than $40,000 for RMHCA and broke a Samford University fundraising record.